When using the CRM to send customers and vendors emails, you can search the customer/vendor records to add additional emails to the CRM mail. 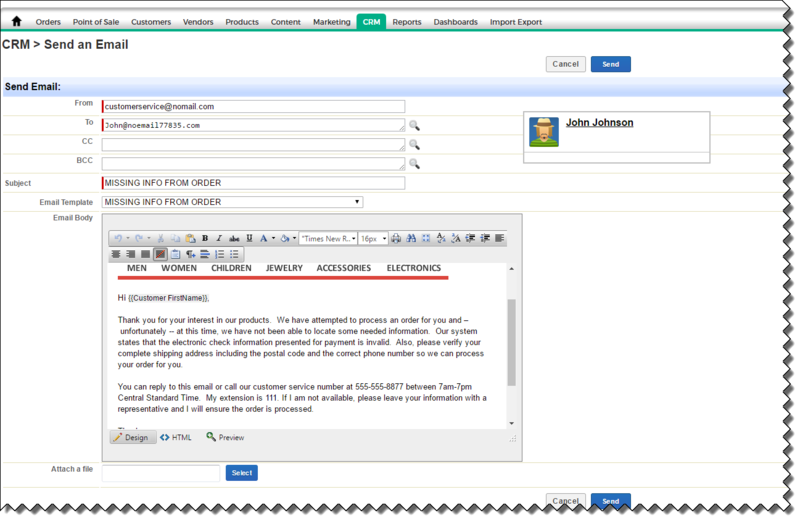 Remember you can email the relevant customer or vendor via the CRM tab in the Customer account, Order record, Vendor account, or Purchase Order record. Once you are sending an email, you can select the looking glass icon to search the records for email, name, or customer/vendor ID. Any records you select will be added to the email you are going to send.